There are several reasons why blogs have become an important part of online marketing. The development of publishing tools is now allowing anyone to create and publish a blog, unlike in the past, where one had to be familiar with complex technologies enabling publishing. Nowadays, creating a blog is quite straightforward process, which also significantly increased the number of blogs available on the internet. Simple tools and publishing platforms have enabled the users without any programming skills to easily set up and manage blogs. Additionally, installation of plug-ins, which allows users to leave comments and rate blog articles, increases the social aspect of blogging, and it differentiates blogs from static websites. Not only do bloggers produce content, but they are striving to build a relationship with the readers by allowing them to share impressions and thoughts on what they have read. This social aspect is very important part of social media marketing in general, as it enables connection with the website visitors. It allows an opportunity to increase engagement on your website and to build influence and respect for your business. Visitors can interact with each other, which can additionally contribute the blogs’ popularity and virality. It is also important to mention that positioning a website without much content and without any connections to social media accounts was possible in the past, but it is unlikely to happen nowadays. This is because search engines algorithms were adapted to this new trend of social media, and this has become integrated into search algorithms. Therefore, having social media accounts and blogs is said to be an important part of search engine optimization and online marketing in general as it allows search engines to link your website to the identity you build through social media. This way, the websites with popular social media accounts linked to them are more likely to be ranked higher in the search engine results. Blogging allows you to integrate a lot of content to your website, content that will be optimized in order to help you improve the positioning of the website in the search engine results pages, by using relevant keywords. Blogging is also good way to provide more information about your company, to explain your services and to feature the news about your company’s activities, such as promotions, new product launch, events you are organizing, etc. Having a blog is basically like having you own newspapers, that you can easily adapt to your needs and shape in such way that you can really benefit from it. In terms of social media marketing, quality content is very important, as users are more likely to share that kind of content with their friends. Additionally, creating content helps you have material to share on your own social media accounts. If the content is of value, it is more likely to get users engaged, which ultimately leads to successful social media strategy. Blogs can be grouped according to several criteria, and topic is one of the most common one used. Blogs are usually focused on a single topic, which is related to a particular industry. This way, the blogger publishes content that is specialized in one specific area, and that is how one can build authority in that area. Thus, we have fashion blogs, teachers’ blogs, SEO blogs, fitness blogs, etc. The topic helps you focus on your target audience, rather than publishing random articles about unrelated topics. Not only does this help with building authority in a certain area, but it also allows you to focus on your target group exclusively, which is advisable thing to do if you want to create a loyal base of followers. However, there are blogs that combine different topics into one, which take a form of an online magazine. For example, a town can have its own blog with various different topics related to the news and events in that town. A blog can cover different sections related to beauty, such as make up, hair, skin care, etc. With this type of blog, one can reach more people, as the blog content will attract larger target group than the blog that specializes in a single topic. Company blogs are very popular type of promotion in internet marketing, as companies use this area to provide useful content to their potential customers, to present their services, and to ultimately convince visitors to become customers. Having a blog is also a good way for a company to increase website positioning through organic reach (SEO). Of course, the content of the company’s blog has to be closely related to the type of business the company runs and it has to feature the keywords that are used in the process of website optimization. Personal blogs represent a type of blogs that feature content published by an individual, who usually specializes in one topic in which he or she is an expert. The benefit of this type of blog is that individual bloggers can be quite successful at using personalized approach and at establishing relationship with the visitors, which allows them to be considered as an authority and respected influencer in a certain area. If their blogging activity is accompanied by successful social media activity this enhances the overall influence a blogger can gain inside his or her community. You, as a representative of a company, can benefit from this type of blogs if you are able to persuade the blogger to recommend your business or if you are able to create a project where you could collaborate. Due to the blogger’s own popularity and influence, the recommendation can reach a large number of potential customers, which could be great exposure for your brand. There are numerous blogging platforms, which are pretty straightforward and do not require any technical skills to be set up. 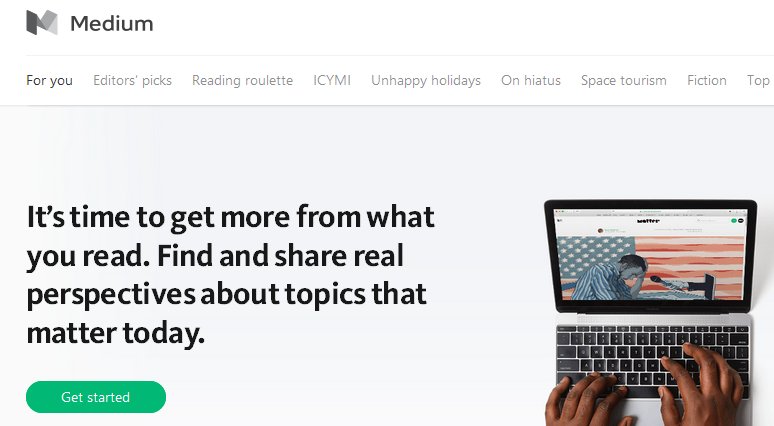 This enables anyone to easily set up and write a blog. According to the statistics, WordPress is the most popular blogging platform. It can be installed to a server, which allows companies to include blogging platform as a part of their website. WordPress also offers a hosted solution, for those who do not have skills to set up their own server, and need fewer customization options. 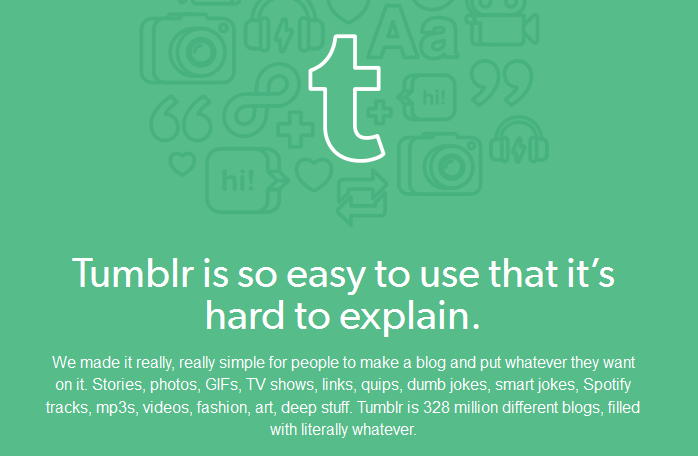 When it comes to other blogging platforms, Tumblr is very popular, with over 320 million blogs set up on this platform, as well as Blogger, a blogging service provided by Google, which allows integration of other Google’s services within the blogging platform. 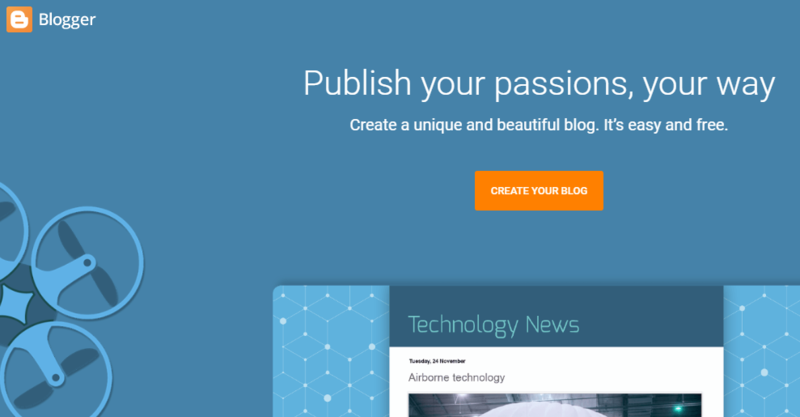 Here is a list of free blogging platforms you can use to create your own blog. You should have in mind that some platforms provide an opportunity to host your blog on your own website (WordPress), which allows more flexibility with customization, while other platforms allow you to create blogs on their platform (Medium), without a possibility to host blog to your own server. When it comes to blogging, you have to have a strategy, just like with any other type of online marketing. In one of the following chapters, we will focus on building on your own social media strategy, and how you should use different techniques to attract and engage the readers, but we want to share several recommendations related to blogging, which will help you maximize the efficiency of your blogging activity. Start by picking a suitable design of the blog, the one that represents the topic you want to focus on your blog. Regardless if you are an individual blogger or you are creating a company blog, choosing a perfect design can do wonders for your overall performance. The impression you leave when someone visits your website is very important, as it might determine whether the users will return to your website. Effective design can also convince the users to explore your blog more and find out more about your company, which also increases the chance of converting the visitors. In addition, blog design should be mobile-friendly, as large percentage of online users is accessing the blogs using mobile devices and you want to enable them to browse your blog easily. Search engines also rank better the websites and blogs, which are optimized for mobile devices. So this is another reason why choosing mobile-friendly design is one of the most important requirement for contemporary bloggers. Consistency is also important part of blogging as the goal with blogging is to establish the connection with your readers, in order to engage them, to encourage them to share your content and to become your customers. You should be consistent when publishing the articles, in terms of layout, the language and the style you use. Define your own style and your own voice, as this helps you build authority and respect. Pay attention to the grammar and spelling, as well as formatting, since all of these can improve the impression you leave. You should also be consistent when it comes to publishing regularly. You might want to publish every day, once a week, or even monthly. You should decide about the pace, and try to stick to the schedule. Not only does this allow users to easily follow you, since they will know how often to expect to hear from you, but it is also good for keeping the relationship active. Unless you publish regularly, you are at risk of losing your followers, and this will have negative impact on your blog. Blogs are perfect for socializing, so try to establish a connection with your readers. Write personal articles, which will encourage your readers to speak their mind. Invite the readers to participate, by asking a question, setting up a challenge, or asking them to leave a comment. You could also ask the users to continue the discussion on other social networks, such as Twitter, by creating a hashtag everyone could follow. Users can also share or like the content if they find it useful, which is another way to show appreciation and great way for you to know the effect you have on the community.